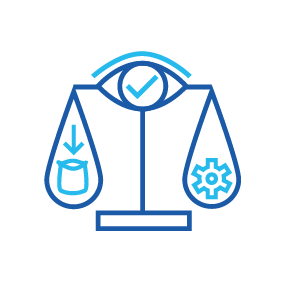 AutoMill’s quality modules add more value and traceability to the production process by allowing the storage of quality results and samples in our database. Barcoded samples linked to each respective process make reporting and traceability much simpler. 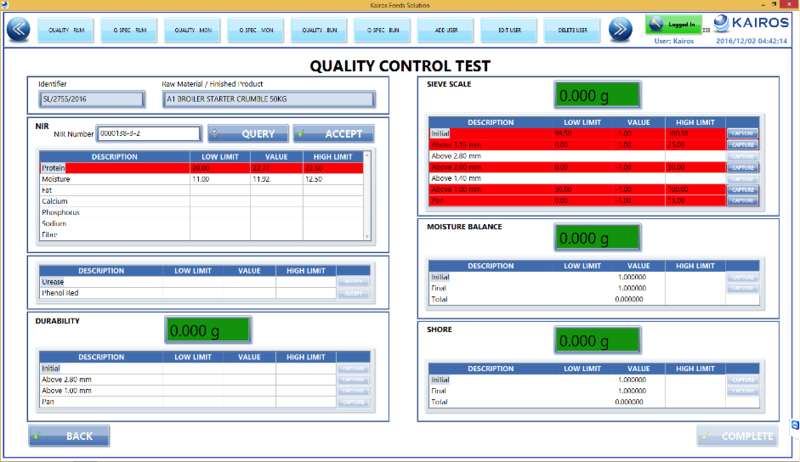 Quality-management modules also allow users to set up and create product specifications, producing immediate pass/fail test results. 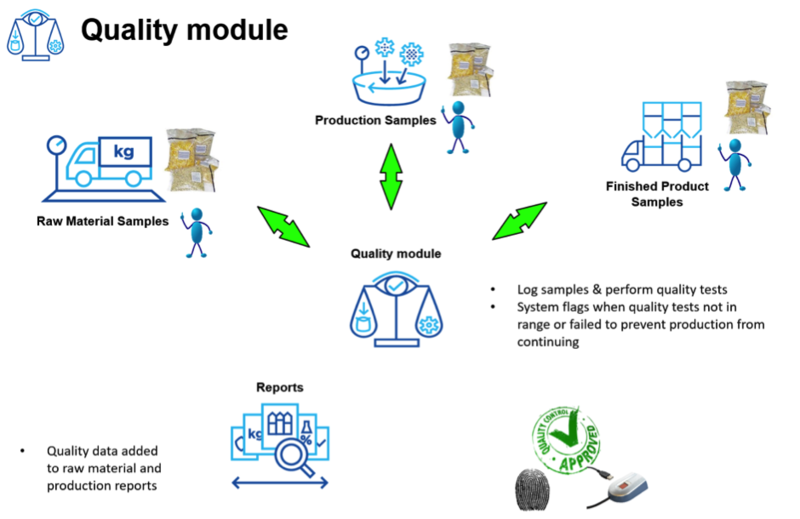 Flagging when quality tests are not in range or fail to prevent production from continuing. Also features NIR, moisture balance, durability, urease, phenol red and sieve shaker tests, etc.